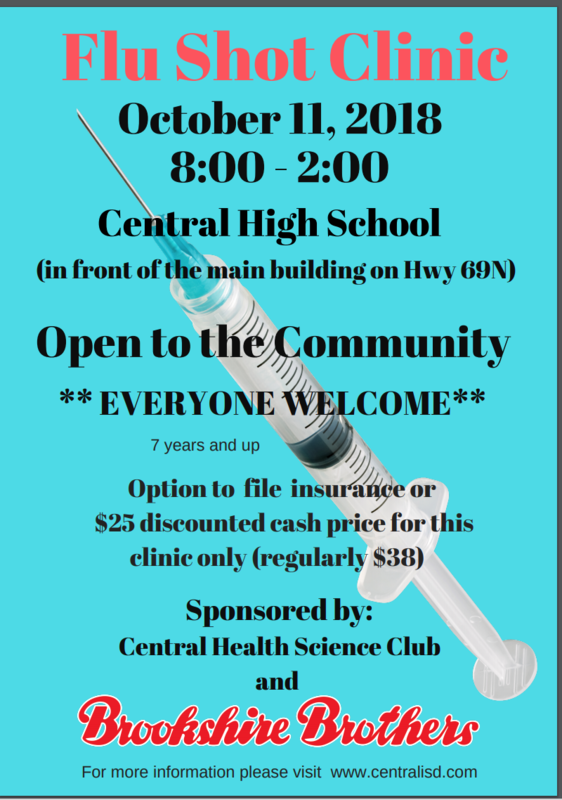 The Health Science Club has partnered with Brookshire Brothers to offer a flu shot clinic for employees and any community member (7 yrs. and up) wishing to be immunized. If you have the Aetna school insurance the vaccine is free. They will also accept and file any other insurance that you may have. Make sure to bring your pharmacy benefit card (prescription card) with you. If you do not have insurance the cost will be $25, discounted from $38. Below are the required forms. Please complete and bring with you the day of the clinic.